This week is National Engineers Week and according to the NSPE (National Society of Professional Engineers) and DiscoverE websites National Engineers Week is observed on the third full week of February. It is observed by more than 70 engineering, education, and cultural societies, and more than 50 corporations and government agencies. The purpose of National Engineers Week is to call attention to the contributions to society that engineers make. It is also a time for engineers to emphasize the importance of learning math, science, and technical skills. To do my part this week I thought I would go see the future generation of SolidWorks Engineers. I got to see this new generation of SolidWorks Engineers today when I went to visit my son Conner’s kindergarten class and talk to them about Engineering and SolidWorks. Mrs. Hickey’s class is full of 5 and 6 year olds so we had to talk about the basics. I explained to them that an Engineer is someone who designs or builds, and that already makes them Engineers with what they do every day when they play and build things in class. To show them how what they do every is done in SolidWorks we used every little and big kids favorite toy, Lego’s. I showed them that Engineering is all about shapes and turning those shapes into blocks and then assembling those blocks into something, like the Lego truck below. 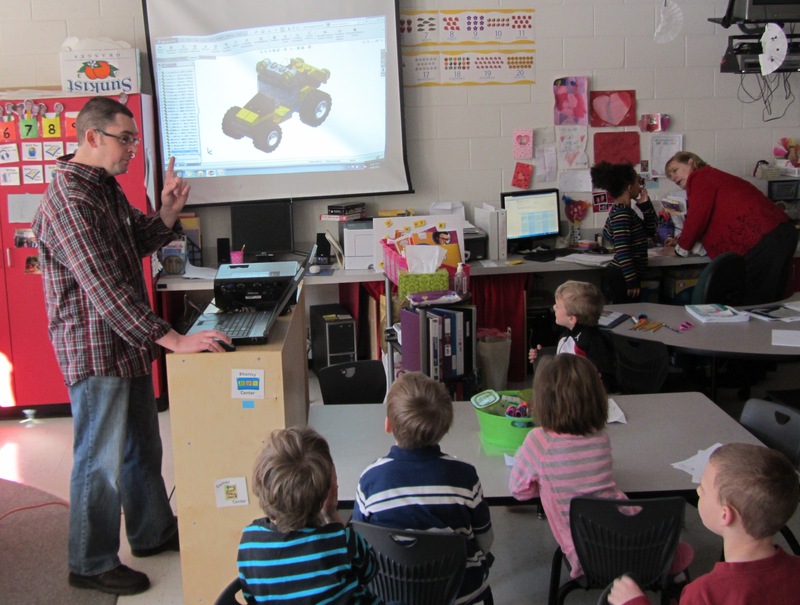 I also showed them how they could easily change the size shape and color of anything they drew in SolidWorks. 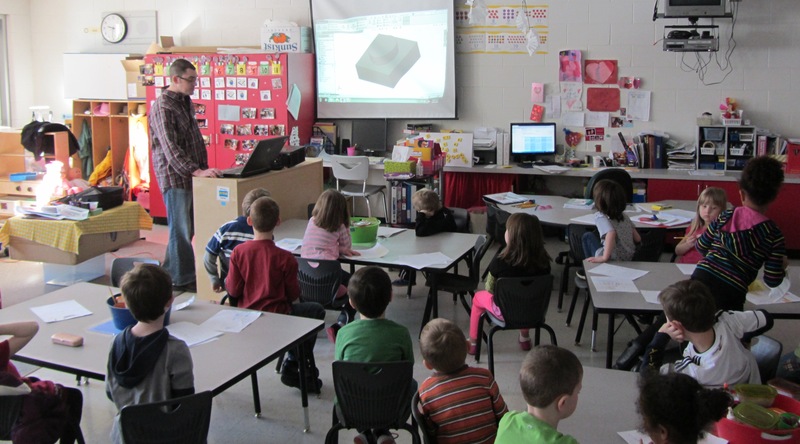 At the end of time I had with Mrs. Hickey’s class I had 23 kids who were very excited about what we can do in SolidWorks and even had a few who said they wanted to be Engineers as well. As fellow Engineers I ask that everyone please take a moment out of your week to see what events are going on in your area and make the time to help the next generation of Engineers.